Listen to our interview with Ginny Routhe, Sustainability, Pomona College about how they are implementing recycling throughout their campus operations, and how recycling could create 1.5 million jobs by just increasing the amount of recycling material generated. Some cities are as low as 35% of trash recycled. Pomona College has a 100% Recycling Program. Download our recycling broadcast and listen while you exercise, clean, or garden. Americans use 2.5 million plastic bottles every hour! Most of them are thrown away! Americans throw away 25,000,000,000 Styrofoam coffee cups every year. PET plastic can be recycled into: clothing, fiberfill for sleeping bags, toys, stuffed animals, rulers and more. Only around 27% of plastic bottles are recycled. Plastic bags and other plastic garbage thrown into the ocean kill as many as 1,000,000 sea creatures a year! Ever heard of the Great Pacific Garbage Patch? It's twice the size of Texas and is floating somewhere between San Francisco and Hawaii. It's also 80 percent plastic, and weighs in at 3.5 million tons. When the small particles from photodegraded plastic bags get into the water, they are ingested by filter feeding marine animals. Biotoxins like PCBs that are in the particles are then passed up the food chain, including up to humans. It has been estimated that recycling, re-use, and composting create six to ten times as many jobs as waste incineration and landfills. Recycling saves 3 to 5 times the energy generated by waste-to-energy plants, even without counting the wasted energy in the burned materials. 13.3% of plastic packaging was recycled in 2008. The recycling rate of 32.5 percent in 2006 saved the carbon emission equivalent of taking 39.4 million cars off the road, and the energy equivalent of 6.8 million households’ annual energy consumption, or 222.1 million barrels of oil. At least 90 percent of the price of a bottle of water is for things other than the water itself, like bottling, packaging, shipping and marketing. 827,000 to 1.3 million tons of plastic PET water bottles were produced in the U.S. in 2006, requiring the energy equivalent of 50 million barrels of oil. 76.5 percent of these bottles ended up in landfills. Because plastic water bottles are shielded from sunlight in landfills, they will not decompose for thousands of years. Recycling one ton of plastic saves the equivalent of 1,000–2,000 gallons of gasoline. 66% of energy is saved when producing new plastic products from recycled materials instead of raw (virgin) materials. A survey was done and 9 out of 10 people surveyed said they would recycle more if it was easier. Odd as it seems there are many people who do not realize that plastic bottles our water comes in is made out of oil. This is the same oil that is used to make gasoline. It's the same oil that is in such high demand and is not an unlimited resource. Go to online version of press release. America Recycles Day reminds us if we could increase the amount of recycled materials from 35% of total trash to 75% we could create 1.5 million jobs that would pay around $50,000 a year. Recycling jobs produce more jobs than they displace. America Recycles Day reminds us just how valuable trash is and forces us to question any logic for dumping or burning something with such a huge financial return potential. 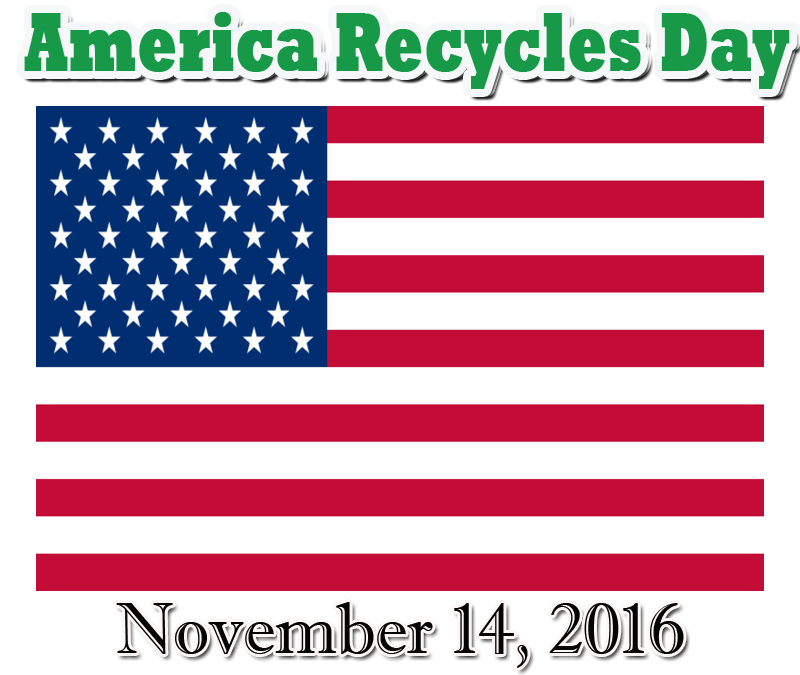 Today, November 15th, 2012, the 15th Anniversary for AmericaRecyclesDay.org has never brought a more important message to the country. Recycling means business and jobs, well paying jobs like the kind you can support a family and a better life with. Just one catch, it involves everyone in the country to do a better job of recycling their trash and taking responsibility for making sure it gets to where that recycling can happen. Could each of us afford just a couple of minutes per day to create 1.5 million jobs for our country? All that would be required in most cases is to separate our trash and put all of what can be recycled into the recycling bin. Some may think this effort doesn’t help them much, but you never know who could benefit from one of the multitude of industries that can be built around recycling. With the average recycling job paying around $50,000 a year with benefits, it is not hard to see these are jobs are worth creating. According to a report by the Tellus Institute with Sound Resource Management, if we could increase our national recycling rate from 34 percent to 75 percent it would create nearly 1.5 million NEW jobs. Switzerland, Austria, and Germany already average about 50% recycle rate so let’s challenge our citizens to top that in the United States and put people to work. Jobs that pay $50,000 a year create tax revenue as does the businesses that employ them. Even better is the fact that recycling industry jobs create more jobs than they replace. Apparently the return and job potential of trash is much higher when you send the trash truck drivers to deliver all that trash to the recycling center for processing instead of burying it in the dump. All the jobs that make trash into new materials that can then be turned into useful products would not even exist if trash is buried in a landfill. We can all help create more trash to be recycled if we can remember that with every plastic bottle, paper and glass product we recycle we are creating a new job for someone. The circle of benefits from recycling includes more than those working directly in the recycling industry. There are a wide variety of businesses that make money providing services and products to those companies. Everything from accounting services to office supplies, building materials and machinery manufacturers all receive extra business when those jobs are created. Everyone that works in the recycling industry or serves that industry will have more money in their pockets to spend for other personal services and products and maybe even a house. Dreams that are much harder to achieve on a minimum wage job with no chance of advancement. All of that happens when you make sure that aluminum can you just finished drinking out of gets into the recycle bin. Some people find other ways of increasing their cash flow by turning trash to treasure. 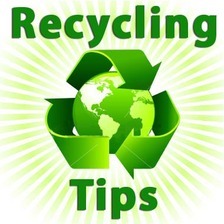 Go to the Smart Health Talk Recycling Center and find a great crafting idea link. Make products out of recycled materials that repurpose or turn them into art. Maybe that pile of stuff you have been collecting and didn’t know what to do with could have a new life. People and business can add a lot more recycling materials to the system by knowing what they can recycle and setting up a way to get it to the recycling centers. The system can take much more product. Many recycling centers are currently running far below capacity. Educating yourself on what can be recycled helps us choose new products that can be put in the recycle instead of the trash bin. Both packaging and the actual product can have recycling potential. A growing group of designers and engineers are thinking about recycling potential when creating new things for us to buy. What a concept! The energy saved by not having to make plastic or aluminum from scratch is huge. You avoid having to start by pulling oil or ore from the ground and then go through a multiple of steps to turn it into the finished product. It takes eight times less energy to turn an old plastic bottle into a new one, than to make a new plastic bottle from oil. This uses less energy and ultimately burns less coal keeping mercury and other pollutants out of our air, oceans, lakes, and soils. Knowing how much recycled materials could save energy in our country makes it hard to understand why our recycled materials are being sold to China. Go to our recycling center to listen to the interview with Dan Bahou, VP of Marketing for Global PET, to find out more about the recycled plastic industry and why selling these products to China is devastating to the United States. Smart Health Talk is dedicated to supporting recycling and getting the word out. Their Recycling center on their website www.SmartHealthTalk.com (http://www.SmartHealthTalk.com) is full of resources and information all in one place. 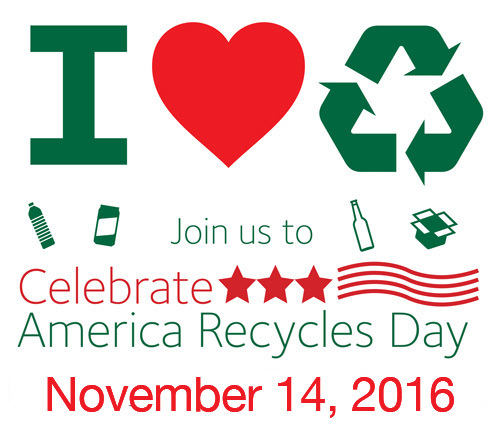 Check out the “15 Tips for Recycling Day Anniversary” under Recycling from our “Resources” tab or just click the link on our homepage. Find out the latest in recycling today at 4:00 pm PST on Smart Health Talk Radio show as we talk with Ginny Routhe, Assistant Director of Sustainability at Pomona College. If you can’t listen to KCAA 1050 AM on your radio, you can tune in from your cell, notebook, or computer. Go to KCAARadio.com on click on USTREAM to watch us in the studio, or click “tunein” to listen. The SmartHealthTalk.com homepage has a link for more instructions. Host Elaine McFadden, MPH, RD will also provide tips on how to save hundreds of calories on your Thanksgiving meal and direct you to some great recipes. Remember the three R's for recycling. Reduce, Reuse, Recycle. Here are two versions of the song to enjoy. Watch them so you keep the message in you head and we can make more recycling jobs. Encourage others too. This video is fun to watch too. Three is a magic number, Reduce, Reuse, Recycle! Listen to our Ginny Routhe, Sustainability, Pomona College interview to find out how we as a country can recycle and create jobs all at the same time. What a great thing to have happen as a "side effect" of doing something that reduces our own personal trash footprint and is a WIN-WIN situation for the planet and our future. There are many ways you can reduce waste. Maybe there are some new ones here that you may have not thought of before. Find out how we can reduce the amount of trash we create per person by practicing some everyday recycling habits that can be as easy as "saying no to the bag." 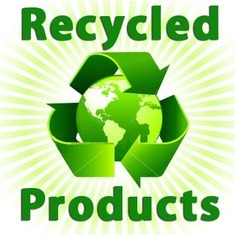 There are over 4,500 products made from recycled materials. If we increase recycling from 35% to 75% we create over 1.5 million new jobs. Get a look inside a recycling center where recycled trash is collected and separated for processing. Quickly find recycling locations nearby that accept items you pick from a list. Easily organize locations you want to use by adding them to your list. My Recycle List takes the pain out of recycling by making it easy to accomplish your recycling goals in the least amount of trips. 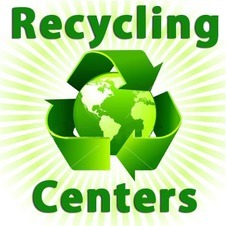 Works directly with our flagship site, 1-800-RECYCLING.com, to search over 120,000 locations. Sign up for the 1-800-RECYCLING monthly newsletter directly from the app!